Gatorade, global partner of FC Barcelona, ​​has won the prestigious YouTube Ad of the Year award in the category of Best Picture. YouTube, in partnership with The Webby Awards since 1996, grants awards for the best ads seen on the internet. The winning ad for 2018 stars Leo Messi and is titled "Heart of a Lio" and outlines the story of Lionel Messi. 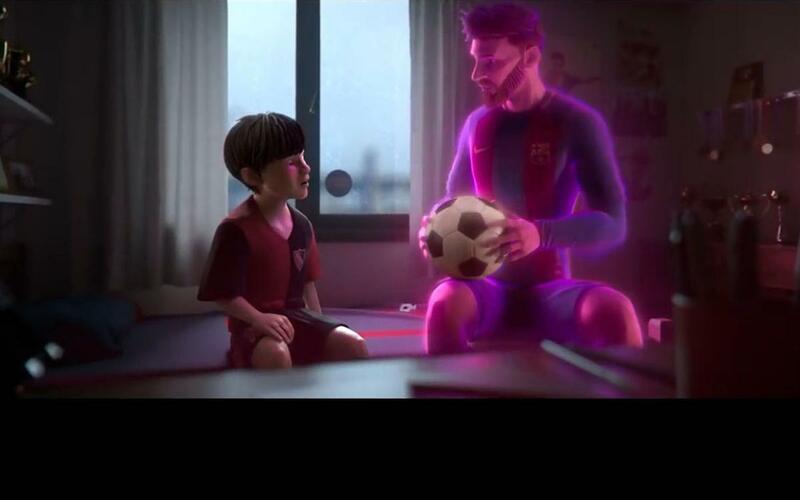 In the ad you can see how a young Leo Messi has the dream of becoming a professional footballer and the Messi of the future approaches him to give him advice. After all the success achieved in his career, the Barça player has a few moments of doubt about his future and the Messi of the past appears to remind him of the advice received before starting his career. Under the slogan, 'When Messi has a dream, nothing can stop it,' a common message is fostered along with values like effort, ambition and humility. Gatorade's ad competed with those from other leading companies like Apple, Tiffany & Co., Tourism Australia, and 'Beats by Dre'. The ad was integrated with FC Barcelona's messages and Club values, and enhanced the visibility of everything that FC Barcelona represents. The ad made a huge commercial and impact for the Club's brand and its high visibility fit perfectly with the the Club's other work, thus giving relevance to FC Barcelona's partners.